You are a total classic – just like your nail shape. You don’t like to step out of your comfort zone with fashion or beauty, and prefer to stick to trends you know and love. 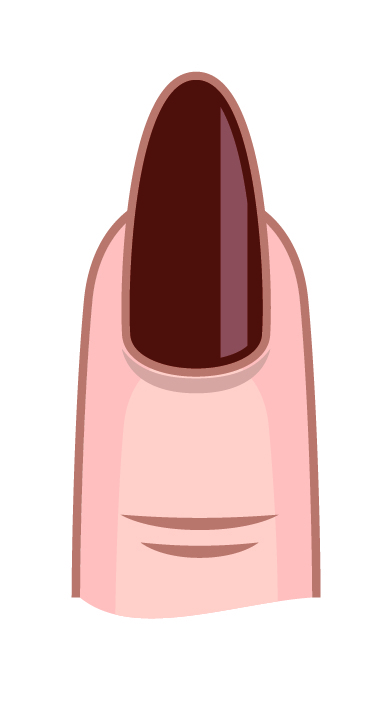 Your nail polish of choice ranges from ballerina pinks to muted greys. You like taking a few fashion risks and have been loving the nail art trend that is going strong this season. You probably visit your manicurist on a fortnightly basis and are a strong believer in the idea that great nails pull together your entire outfit. You have a lot going on and your nails don’t really rank as a priority. You probably slick a clear polish over the top for special occasions but that is about the extent of it. Your style is relaxed and effortless, and you look better in jeans and a t-shirt than a ball gown. You are always at the forefront of a beauty trend and don’t mind getting a few weird looks in the name of fashion. You love the sharp point of a stiletto nail because it gives serious attitude as well as elongating your fingers for an elegant looking hand. You have modern tastes but keep your look clean and minimalist at all times. You prefer understated nails to match your understated makeup and are often found in monochrome from head to toe. Your favorite nail shades are on trend whites, greys and charcoals.